UPDATE: 1:17 p.m. EDT— The City of Deer Park announced it was lifting its shelter-in-place order as of 11:40 a.m. local time. Emergency Services Director Robert Hemminger said in a statement that the sustained period of improved readings as well as the confirmation of Dr. Umair Shah, executive director of Harris COunty Public Health, had allowed the city to lift the order "with confidence." Hemminger said officials confirmed air quality readings had been improving and had significantly reduced over the last few hours. "This information, combined with the assurance of Harris COunty Public Health, allows us to meet our internal criteria necessary to lift our Shelter-in-Place," he said. The city also annoucned that State Highway 225 would be re-opened from Beltway 8 to Highway 146. "City crews will be deployed to remove all street barricades placed this morning and re-open the roadways," the statement added. Air quality will coninue to be monitored. 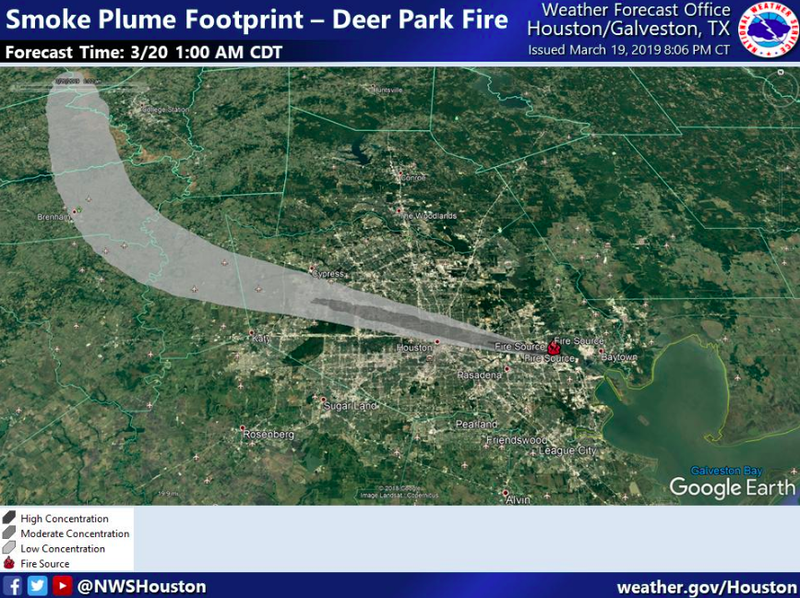 Original story: A chemical fire that raged for three days in the city of Deer Park, Texas, was finally put out, but residents are now dealing with airborne levels of the hazardous chemical benzene. Deer Park issued a shelter-in-place on Thursday and closed city facilities, schools and roads. The tank fire, which began burning on Sunday, at Intercontinental Terminals Company’s Le Porte, Texas, plant was extinguished in the early hours of Wednesday. However, steam and smoke were visible from the area and a “chemical odor” was reported. Intercontinental Terminals Company confirmed on Thursday that onsite responders had reported increased levels of benzene at tank farm. In a statement, it said that the levels were below those that represent an immediate risk. “ITC responders are working actively to reduce the cause that may be responsible for the elevated readings,” the statement said. The Deer Park Emergency Operations Center ordered the shelter-in-place precautions after being alerted about the increased levels of benzene. Residents raised concerns of air quality as the tanks that caught fire contained components of gasoline as well as materials used in glues, paint thinner and nail polish remover, CBS News reported. 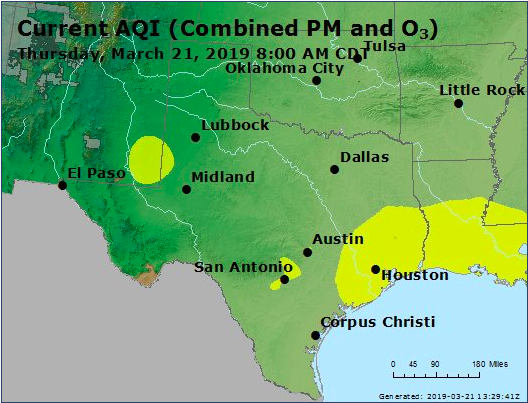 According to the Environmental Protection Agency's AirNow, the air quality near Houston was listed as moderate, meaning there may be some health concerns for people who are unusually sensitive to air pollution. The Harris County Public Health and Precinct 2 set up mobile health clinics in Deer Park for residents who may be experiencing medical-related issues tied to the chemical tank fire. The units, which will set up at the Jimmy Burke Activity at 500 W. 13th Street in Deer Park, will provide wellness screenings, health assessments, mental health resources, among other services. The Deer Park Police Department closed Highway 225 from Beltway 8 to Miller Cutoff in response. Police also placed barricades blocking northbound traffic from Pasadena Boulevard intersections, including: Center Street, East Boulevard, Georgia, Oklahoma, Louisiana and Luella. Northbound traffic from Spencer Highway was blocked at intersections including East Boulevard, East Meadows, Luella, College Park, Academy, Center Street, Durant and Glenwood. The city also announced that anyone schedule for a court appearance on Thursday would be rescheduled. Individuals were urged to called the court to reschedule, but were advised that Municipal Court would not open until 1 p.m. local time.